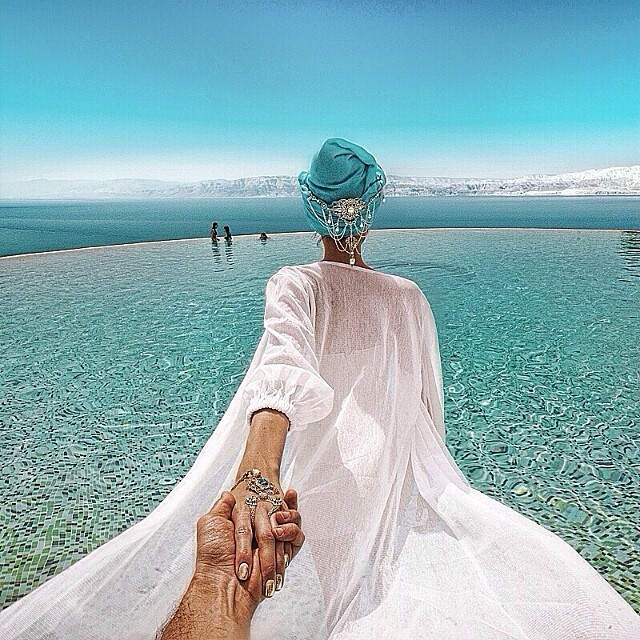 Mention the name Murad Osmann (@muradosmann) to anyone who uses Instagram or has an interest in photography, and the instant response is "Oh, the guy who takes the follow me photos!" Mention his beautiful and sweet fiancee Natalya Zakharova (@natalyosmann), and the response is usually about her stunning choice of clothes - and jewelry. So it comes as no surprise that the two have teamed up to collaborate with jewelry brand @Bochic to launch the global #LeTourdeBoChic jewelry line in Hong Kong. 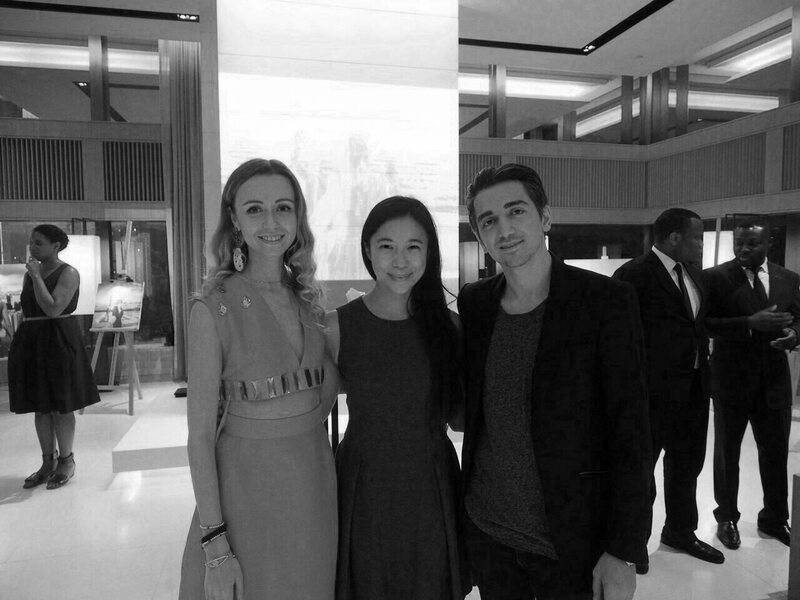 Carmen and Artistic Director, Clement, had the great privilege of being invited to the exclusive launch event at Cafe Grey in the Upper House Hotel, and we managed to have a quick chat with the lovely couple. How long are you in Hong Kong for? Murad: Just until the end of this week. Natalya: And then we're both back to our full time jobs! Murad runs a production company - the photography is really just a hobby. These days we're finding it harder and harder to fit it into our schedule. How long does it take to get the right #followmeto shot? Murad: Only a minute. Maybe two minutes. Natalya: ...Way longer than that. I bet it feels like he's holding your hands for hours! How long have you guys been taking these photos for? And how many have you taken over that period of time? Murad: Probably around 120. It doesn't sound like a lot but it is! We've been to a lot of great destinations, but there are still so many more to visit. 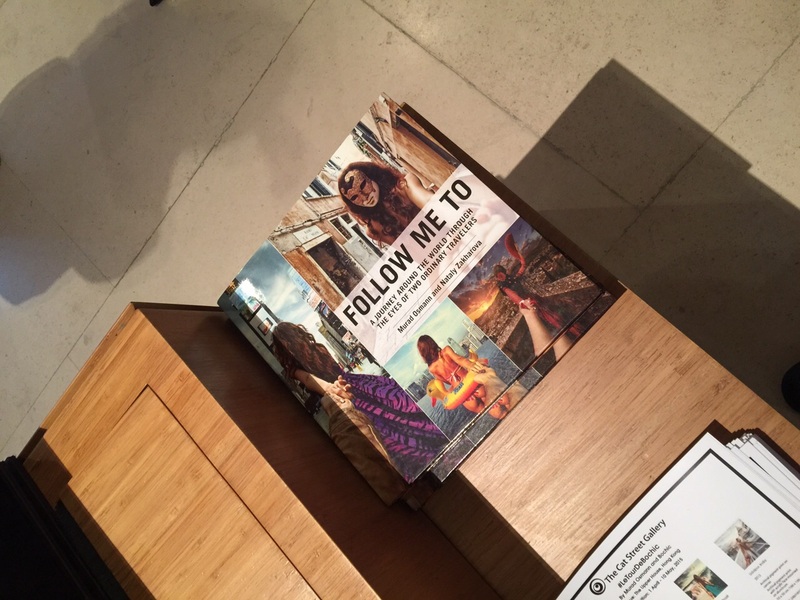 Which of the #followmeto pictures is your favourite? Murad: The one in Jordan - the blue one over there. Natalya: My favourite is the one of us over the Hollywood sign in LA - I had to hold onto the helicopter railing as I leaned out, and Murad had to try to stay inside the helicopter with no doors as he took the photo! Murad: I was holding onto my camera as I leaned out of the helicopter, and felt something on my lap that I started fiddling with - until I looked down and realised that it was my seat belt! I was like, "okay, better stop playing with that!" What has been your favourite destination? Murad: For Natalya, it's New York. For me, I liked Turkey and India. And Hong Kong of course is nice - maybe when it's not so humid! We were here in April and it was great. The exhibition at Cafe Grey will continue until 10 May 2015 - be sure to check out Murad's amazing prints!